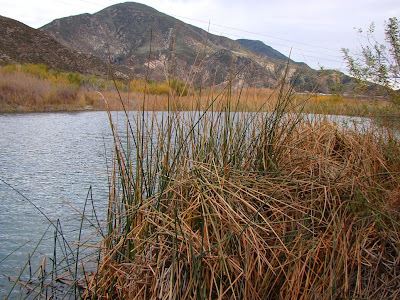 My previous post on the geologic hazards of living at the eastern edge of the San Gabriel Mountains resulted in a fair number of comments, essentially all correct, pointing out that the local inhabitants are threatened by earthquakes, landslides, mudflows, floods, fires, and...pet-munching critters. Some also pointed out that every locality faces natural hazards, which is very true, but not all places are equal! One of the serious hazards of living in California is the ever-present threat of major earthquakes, due to the proximity of numerous active fault systems. But ask a Californian (or anyone else for that matter) the name of a fault in our state, and the answer is invariably "the San Andreas". Ask for the name of another, though, and most people blank. The next question one might ask is "how close do you live to the San Andreas, or any other fault?" Unfortunately, that question may result in a blank stare, too. So, today's post is about finding fault in California. If one thinks he or she has never seen the San Andreas or any other fault, they might find that they actually have, but just didn't know it. 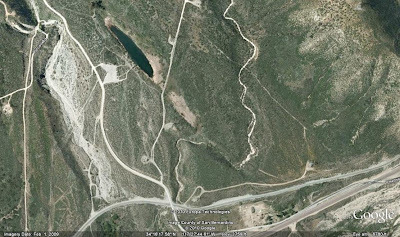 The San Andreas in particular is spectacularly exposed along several major freeways leading out of the Los Angeles Basin, along Interstate 5 at Gorman, Highway 14 at Palmdale, and on Interstate 15 over Cajon Pass. That's where we are exploring in today's adventure. 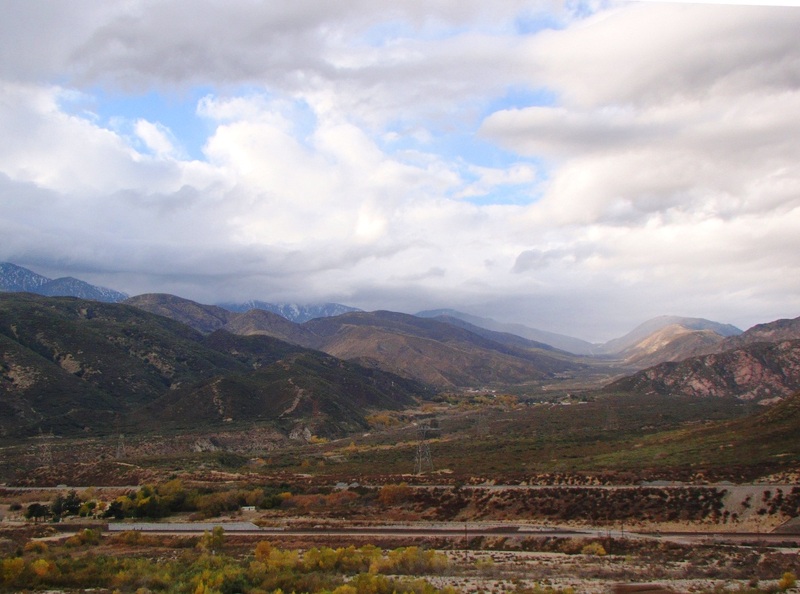 A few miles north of the junction of I-15 and I-215, the Interstate climbs a hill, and an exceedingly straight valley appears to the northwest (the picture above). It is called Lone Pine Valley, and it is one of the better exposures of the San Andreas. One can leave the highway at Kenwood Avenue or Cleghorn Road and follow the original Route 66 to see some interesting fault features, including an exposure of the rocks in the fault zone at the Blue Cut. "I was there swimming not to long ago and saw a man catch a fish that looked like a bass but the eyes were huge and almost popping out! He was gonna take it home to find out what it was but released it fearing it might die and it turn out to be a pre historic fish. I just believe that its a bass that was way deep down under and its eyes popped out as it was surfaced. But what has my attention is the rumors of lost lake having no bottom! Any info? Anonymous (not verified) on Mon, 09/06/2010 - 9:32pm. THATZ TRUE LOST LAKE HAVE NO BOTTOM THEY CHECK ALREADY"
Anyhow, Lost Lake is a sag pond along the fault trace, which is fed by springs (groundwater is often forced to the surface along fault lines). I am guessing that the "bottomless" rumor came along when the association of the lake with the fault became locally known... a line of thinking that might go... "faults go to the center of the earth, or something like that, so a lake on the fault won't have a bottom either". 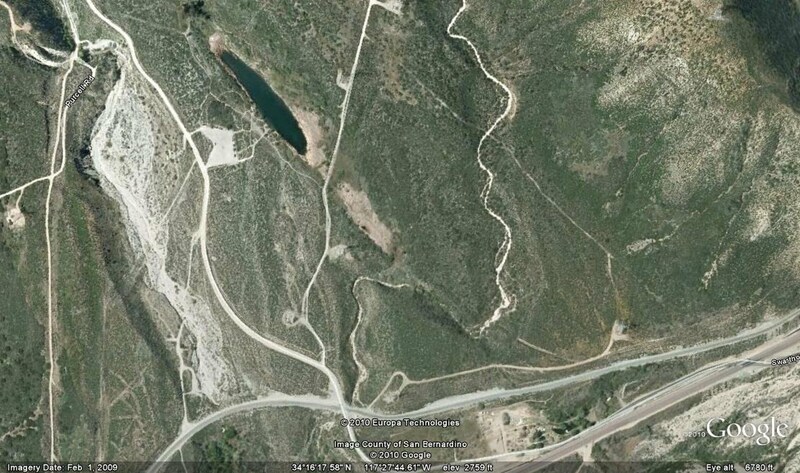 Of course one can see the bottom of the lake in the GoogleEarth image, and the crime report I read noted that divers looking for the body mentioned that the the lake is barely 20 feet deep. The lake has been a trash heap and hangout for undesirable people over the years, but it looked on my visit like the Forest Service was trying to improve the situation. There was not as much trash as I remembered from the past, and signs noted that a recreation fee was required for parking. The cattails were healthy too. A short walk up the hill provides a view of the fault scarp and the Blue Cut, an exposure of the mangled and broken rock within the fault zone. In the picture below, the San Andreas cuts through the left flank of the hill in the distance and crosses the freeway in the left margin of the picture. Lost Lake is the small pond in the center of the picture. 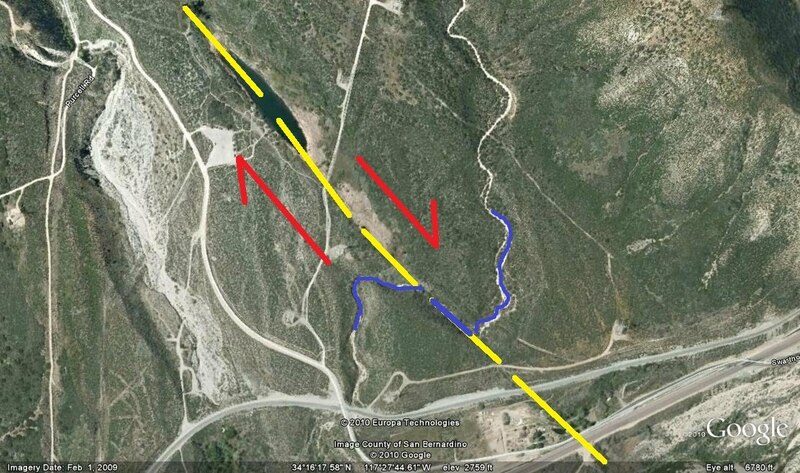 The GoogleEarth image below shows the fault relations at Lost Lake, including a very nice example of an offset stream. The San Andreas is a right lateral fault, meaning that an object across the fault from the observer is moving to the right (note the arrows in the picture at the bottom). Terraces, scarps and channels at Lost Lake have been extensively studied to construct a chronology of past earthquakes at this site, and there have been some big ones (an older reference is included below). 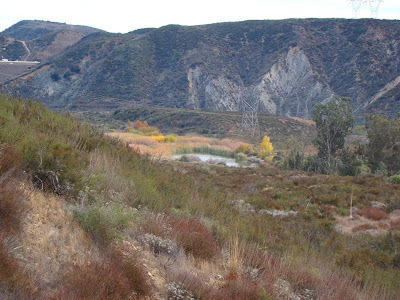 Two historical events involved nearby portions of the fault, the 1857 Ft. Tejon earthquake (with a magnitude in the vicinity of 8), and possibly in 1812, an earthquake that caused serious damage as far away as Mission San Juan Capistrano. The average recurrence interval may be as little as 100 years. And all of this can be seen from a quick detour off the freeway! It's a great place to learn about faults. I had to challenge myself: when I started reading and got to the first mention of the SAF, I clicked on the top photo and said to myself, try to identify this spot. When my eye fixed on the upper valley, I did a fist-pump because I knew it was a view of Lone Pine Canyon from the other end. Excellent tour of this interesting locality, passed by thousands of people twice a day. Great article, thanks! There's great research on paleoearthquakes in California, just think about Rockwell and his colleagues who trenched the entire Hog Lake at the San Jacinto fault in 3D! I'm surprised people don't realize there are other faults beside the San Andreas. Doesn't LA County have some ordinance that you can't build within ten feet of an active fault? @cherish: I believe it's 150 feet, as per ther Alquist Priolo Act. cherishthescientist: the law you're thinking of is the Alquist-Priolo Special Studies Zones Act of 1972. It's a state law, not a L.A. County law. Garry: As you probably know, Lost Lake isn't really a sag pond. It was formed when offset stream terraces created a closed depression that filled with water. This area is one of the places I like to take my students. After Lost Lake we go up Lone Pine Canyon to Wrightwood, where we discuss debris flows and actinolite. Then it's on to Big Pines, Jackson Lake, Pallet Creek and the Devil's Punchbowl. A fun day, especially in fall. 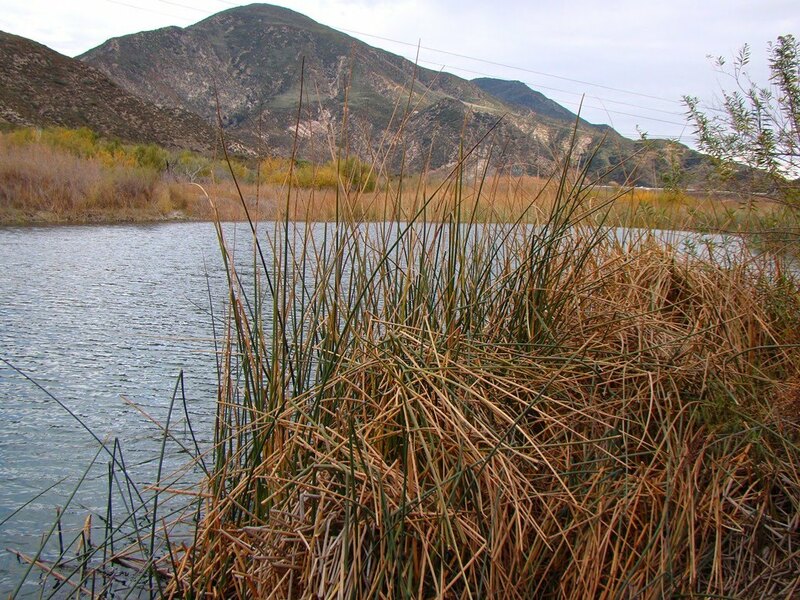 Hi Randy, I tend to use sag pond generously when lakes form on fault lines for whatever reason! Point taken on the stream terraces; they are visible in the Google shot. i live reasonably close to the area.ive yet to find the bottomless part.sorry guy.the waters a bit cooler,but sag ponds are a great water source.its where a fault line finds a low spot to gather condencation. Well, the myth of lost lake not having a bottom has been busted. It is so low now you can walk across it. About 3 feet at it's deepest point. Hope it has water in it now. Thanks Pedro.